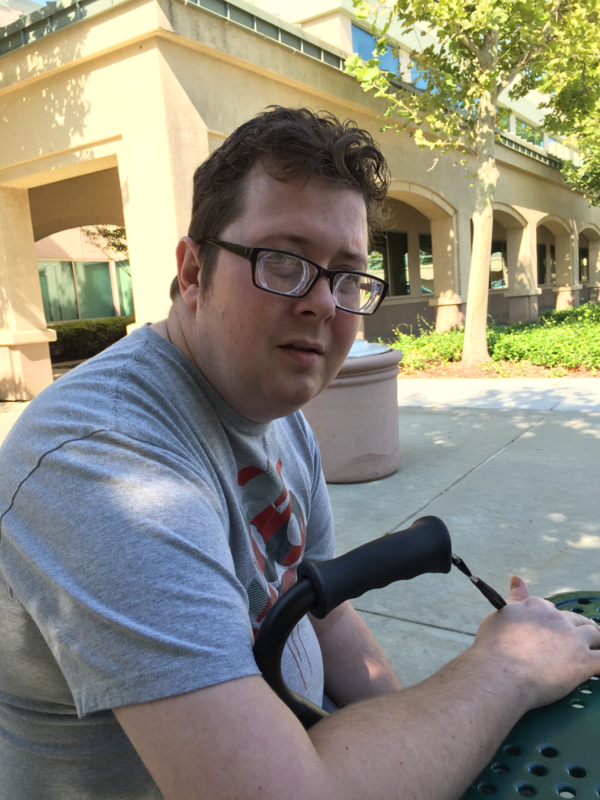 This is Aaron Myers, a 32 year old recent graduate of Sacramento State University in California. Aaron loves to laugh and bring laughter to those around him. He majored in History and Business and everyone is elated by his most recent success. He is educated and will one day be ready to take this world by storm. He is a loving son, brother and friend. And is truly loved by so many. Following his graduation he and our family took a celebratory vacation to Singapore. The trip did not go as planned. After a 26 hour flight Aaron began feeling nauseas and lightheaded. On March 22, 2016, the day we were supposed to board the cruise, Aaron began vomiting vigorously. His head hit the granite wall and he suffered a massive head injury. 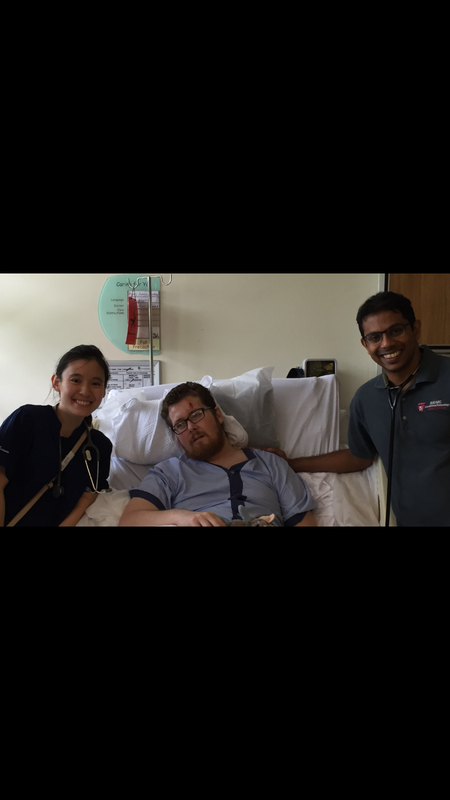 Aaron was rushed to Singapore General. His initial diagnosis was hypoxia; which is a fancy way of saying he lost oxygen to his brain and it has caused permanent brain damage. Aaron was now in a coma and stayed that way for three weeks. During that time his condition worsened. His brain was starting to swell, a feeding tube had to be inserted, his kidneys began to shut down and he went into liver failure. This required him to be on dialysis. The first three weeks were the scariest of my family’s life. Things brightened a bit when Aaron spoke, or rather sang, his first words to his father, “Rocket Man” by Elton John. His dad’s favorite song. It was amazing when Aaron finally had the stability to come back to the United States. He arrived on April 25th. 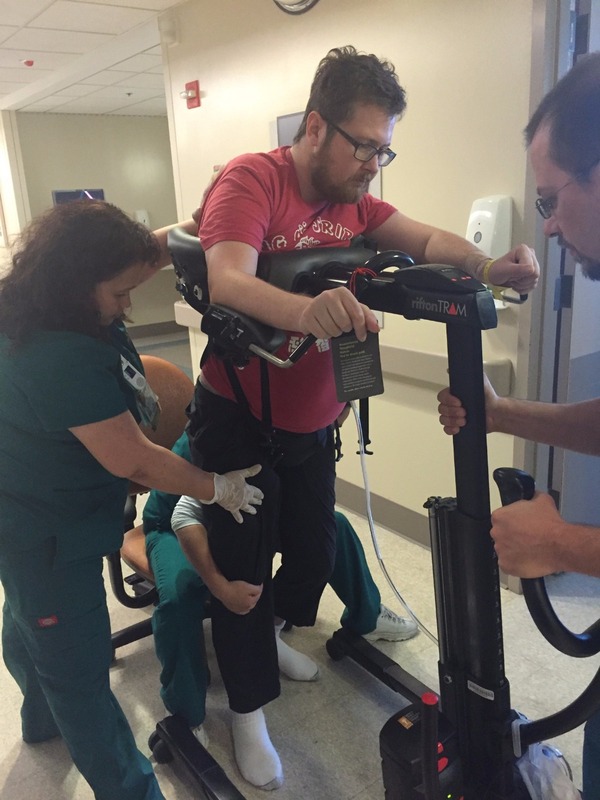 While his condition has gotten better, the realization of “the road to recovery” is very real. As so many may know, head injuries are each unique and heal at their own pace. At this point in time, our witty Aaron is without much of his speech. He has no memory past the age of ten years old. He needs 24 hour -round the clock -care. He cannot eat, use the bathroom, bathe or walk on his own. He is learning how to walk, talk and use his memory all over again. He does not currently have any function in his left leg. Everyday proves to be a new day, with a new challenge and with new victories-no matter how small. 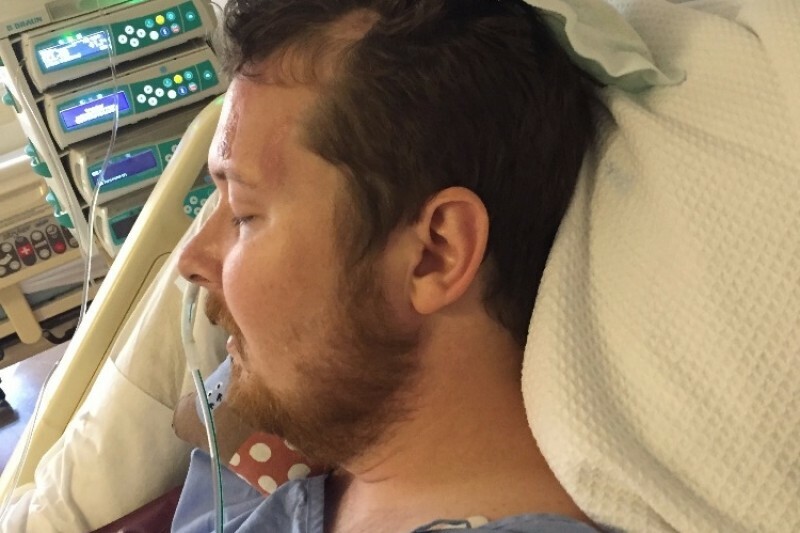 We want Aaron to have every opportunity to heal and we are now asking for your help. As I’m sure most of you can assume, medical expenses overseas are not the cheapest. We are currently looking at a $100,000 bill for his stay in Singapore. Unfortunately, none of the insurance avenues we have tried to take are willing to pay. And yes, we’ve exhausted every possibility. The money donated through this account will go towards medical expenses that far surpass anything we could ever pay on our own. It will be going towards medical bills (both in and out of the U.S) deductibles, physical therapy, and the unknown amount of fees associated with the evacuation home and tarmac transportation. He was flown from Singapore to Los Angeles and then finally Sacramento. Special transportation was needed during each of those flights. Donations will also be put towards any medications, or home supplies not covered, or provided by, insurance. As of now, we have had to purchase: a shower chair, commode, an air conditioner that must provide optimal environment control, monitors in order to watch and listen to him from any room. These are all things insurance is not willing to cover. The money will also be put towards the hotel stay for our family while he was in the Singapore hospital, extra luggage fees (in order to bring medical equipment home from overseas), the rental van we have with wheelchair access, a harness for easier lifting and clothing that fits him more appropriately. I am sure there is much more to come that I’m not even aware of yet. Aaron continues to stay resilient throughout his fight and constantly sings “I love it when you call me Big Papa.” I think it’s safe to say that Aaron can still light up a room. We, the Myers family, are asking for the support of our friends, family, neighbors, strangers, people who are able to help, or even other families who have had a similar experience. We are staying strong and positive but could most certainly use the encouragement of people around us. I will be posting updates every week and we could really use the support, love and prayers Aaron needs. No amount is too small and nothing you donate will go unnoticed. Even if you can’t help monetarily, please send your prayers and well wishes to our boy. Thank you for taking the time to read this, we appreciate you all. We want to thank everyone for your donations. Sorry it has taken so long to update everyone. September 22 marks 6 months since the accident occurred. He has been living with us for three months now. 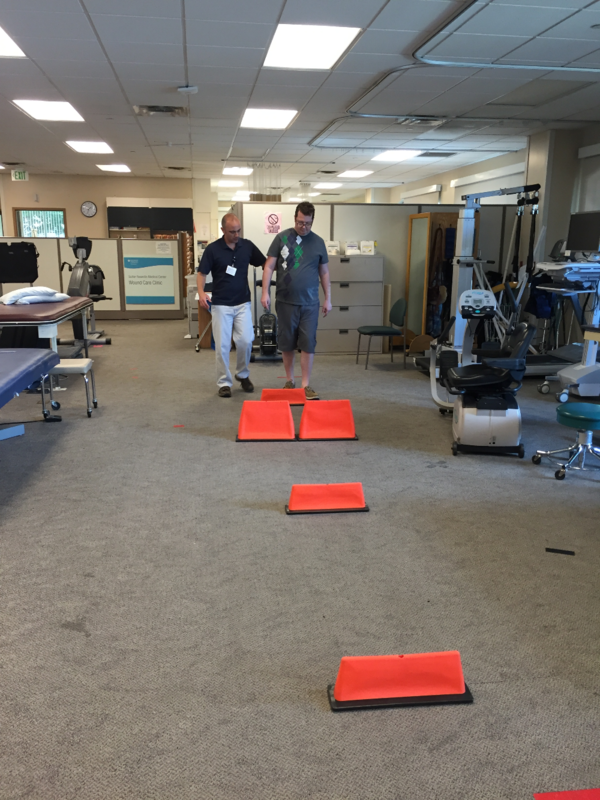 He has been in intensive rehabilitation including physical therapy, occupational therapy and speech therapy. Within the last 3 months he has become more mobile and is no longer confined to his bed. He has moved from a wheel chair to a walker/cane. We only need to use the wheel chair for long distance travel. He is also getting his double vision corrected which is a slow process. 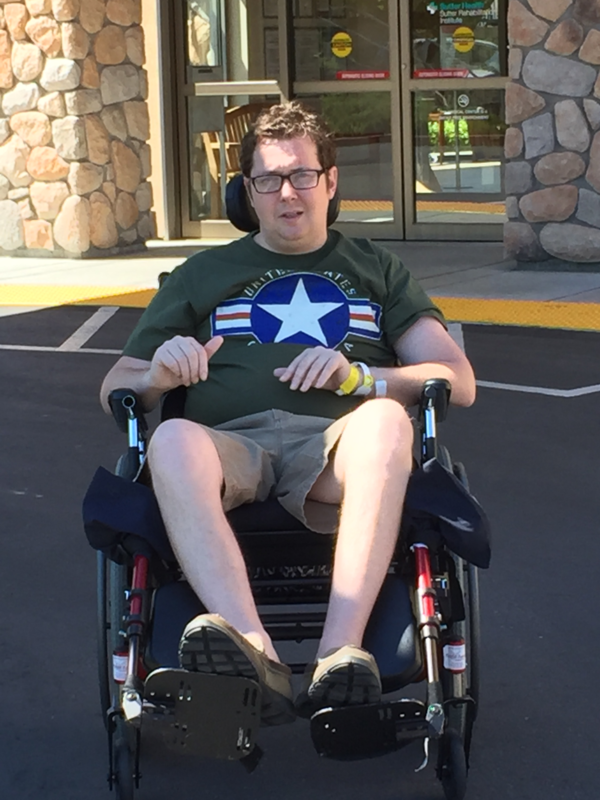 It is a long process for a traumatic brain injury and he still has a long way to go. 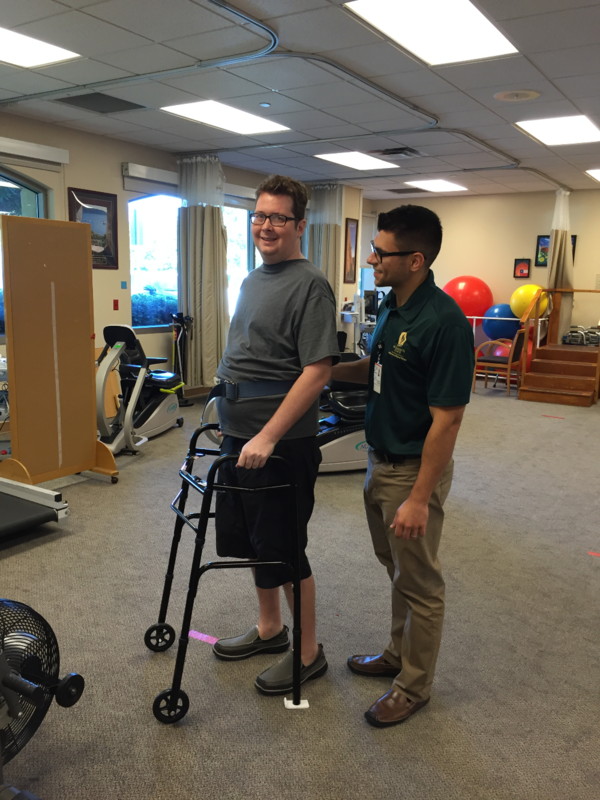 We are encouraged by seeing his progress in his physical abilities improving. We believe that everyone’s prayers and support has helped recovery immensely. 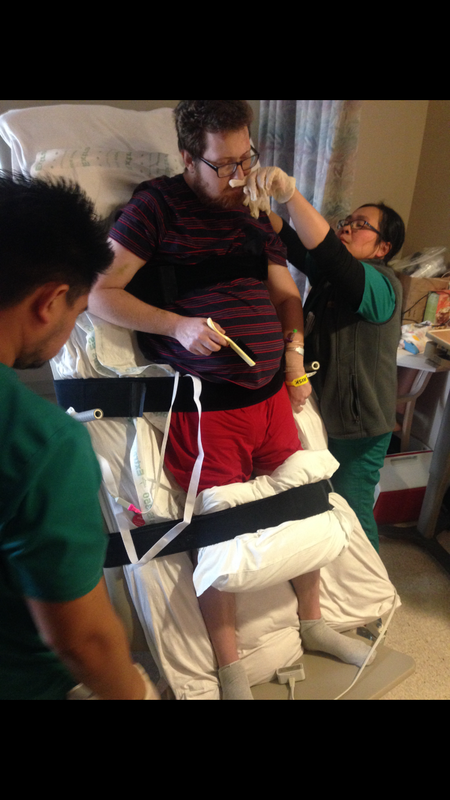 Pictures of Aaron on tilt table to help strengthen his legs. His great doctors in Singapore! 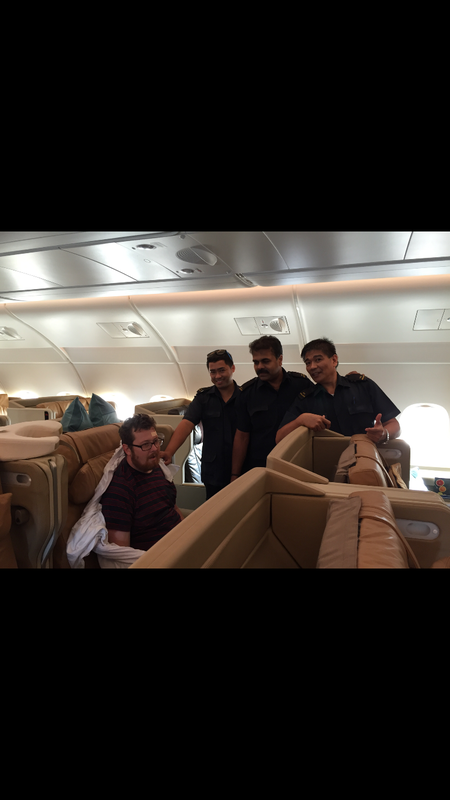 And finally his medical transport back to the U.S. He's doing great, guys. Thanks so much for the donations so far. Please share with everyone you can. Thank you to all who have donated. We truly are blessed to know some amazing people. Way to go Aaron. We are rooting for you! Prayers, love and strength to the Myers family. Get well Aaron. God is ever powerful and he will not let you down.